If you’ve been in this special education business for any time at all, you’ve likely had the experience of trying to explain The Process to someone with no background knowledge — and failing miserably at it. Maybe you offer too much detail (guilty), maybe you over-simplify, maybe you get caught in a web of “but, if . . .” It seems like no matter what I do, I somehow end up making the whole thing sound more complicated and convoluted than necessary (and we all know it’s complicated and convoluted enough all on it’s own). 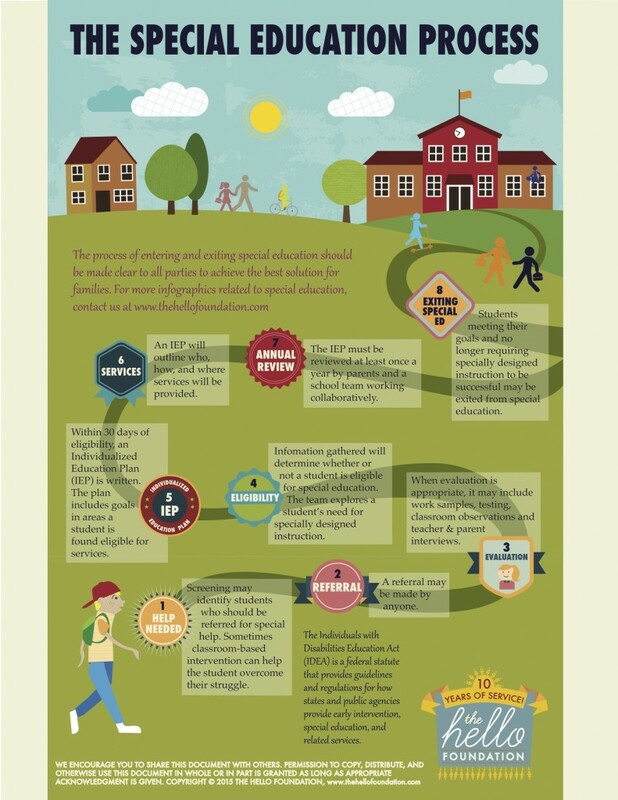 Enter our new Special Education Process infographic. I’ve cobbled together a few sped flow charts on my own over the years, but this graphic, lovingly put together by our graphic designer Meagan, puts all of my previous efforts to shame. If you’d like to download it as a pdf, click on the link below the image. Check it out, share it, and let us know what you think!